The credit card issuers sometimes adjust the terms associated with their welcome bonuses. They want to encourage profitable consumer behavior, so they don’t want people applying for credit cards solely for the welcome bonuses, or applying for offers that weren’t intended for them. 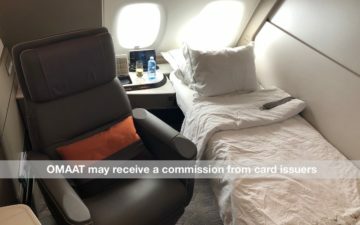 For example, over the past several years American Express has changed the terms of most of their credit cards, limiting the welcome bonus to those who haven’t had a particular card before. So most Amex welcome bonuses are now “once in a lifetime.” Previously the bonuses weren’t available to those who had the card within the past 12 months. If we in our sole discretion determine that you have engaged in abuse, misuse, or gaming in connection with the welcome bonus offer in any way or that you intend to do so (for example, if you applied for one or more cards to obtain a welcome bonus offer(s) that we did not intend for you; if you cancel or downgrade your account within 12 months after acquiring it; or if you cancel or return purchases you made to meet the Threshold Amount), we may not credit bonus miles to your account. We may also cancel this Card account and other Card accounts you may have with us. The first and third restrictions aren’t too surprising, while the second one is a bit more problematic, if interpreted literally. Many cards come with the first year’s annual fee waived, and one of the reasons the card issuers do that is to give people a chance to try a card before they “buy it.” So if a card really isn’t working for you, I don’t think there’s anything wrong with canceling the card after around a year. While the language is intentionally quite extreme, I don’t think that’s how they’ll enforce it in practice. My guess is that they’ve added this language for people who are signing up for offers they’re not targeted for, repeatedly canceling cards a month after receiving them, etc. Amex has actually been known to take away points and close accounts for people abusing the system, so really they’re just putting this discretion in writing. For now I’ll mark this as “developing.” We’ll have to wait and see if this language is added to other cards, and also whether Amex actually changes anything as a result of these new rules. In other words, will they shut down the account of someone who signed up for a publicly available offer, put spend on the card, kept it for 11 months, and then decides the card isn’t for them? I doubt it. What do you make of Amex’s new language regarding welcome bonuses? HA. The first point is totally on AMEX not the consumer. Consumers can apply for whatever they want-AMEX needs systems to prevent handing out bonuses not in align with their rules. The 2nd and 3rd I agree with. The 2nd does possibly impact people who apply for an annual fee card where the fee is waived the 1st year though with the intention of closing the account prior to having to pay the fee. Card issuers could just not waive any fees for the 1st year. I see that Ben has addressed this in the first comment, however, if someone applies for a card with a welcome bonus that wasn’t intended for them, shouldn’t Amex. already know the person isn’t eligible and simply offer the card and not the bonus points? Can they take points back once they are in your SPG, Hilton or Delta account? Ben (the author of the blog), it’s not extreme, it’s straightforward language. It’s targeting people who play the signup game to accumulate points, it probably won’t affect ordinary users who simply want to accrue points and miles for things they would spend on anyway. This was in my terms for my new Amex Gold business card and I am perfectly fine with that, I can transfer points to Emirates, I spend a lot on computer hardware, software, and services anyway, so I may as well get points for it. @mojo, I would call up and explain to American Express, simply tell them the Delta gold is not a good fit for you, and ask if you cancel will it affect you. Unfortunately amex has already been enforcing these rules without publishing them. I can speak from experience. 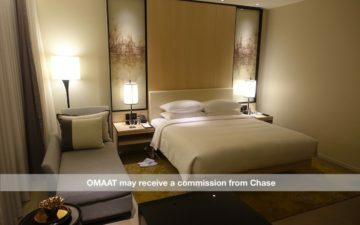 In April 2016 I applied for a public 100,000 point bonus offer on the amex platinum. I completed the minimum spend and received the bonus. Then I refocused my spend on my usual rotation of credit cards that offer better bonus catergories(one being the amex everyday preferred). After about 4 months of not using the platinum I decided to call and cancel it. I talked to a amex rep and she assured me because I had the everyday card that I would not lose my points, nor would canceling my platinum card matter so I canceled. About a month later I randomly checked my point balance and noticed the 100,000 bonus was gone. I immediately called amex, filed a complaint and explained what the agent said and even offered to reopen the platinum card if they would reinstate the points. I was told a claim would be filed and I would hear from amex soon. After a few weeks of no correspondence I called back and was told I would receive a final decision in the mail. After a few months of waiting I called again and was told that they would not reinstate my points with very little explanation other then they reserve the right at anytime to confiscate points. Good a value. I’m glad amex at least has published these rules now so it’s clear to the agents, and this hopefully doesn’t happen to anyone else. I think it is interesting that Amex has had a fair number of targeted offers, challenges, and gifts for high spending customers, not to mention the Centurion card itself, and I feel this is in line with that. Amex has stated as much that they care less about raw market share than they do about acquiring individuals who are high spenders. As someone whose spend is almost always on an Amex card I can’t quibble with the perks going to those who actually spend the bulk if not all of their money with one card issuer. I’m disappointed that you didn’t hat tip the probable source: a Reddit user. Now other blogs are crediting you with the discovery. While the possibility exists that you arrived at the information independently, I think the timing is suspect. If you did, my apologies. Doesn’t the middle restriction (forfeiture of bonus points if cancelled or downgraded within 12 months) have the most obvious loophole? Even if AMEX strictly applied across the board, just wait until you’re in your 13th month (after the annual fee hits) and then cancel the card then. You’ll be past 12 months and as long as you cancel within the first month of the new annual fee year, you’ll get the fee refunded. Let me know if I’m missing something here…. Amex is going downhill fast and I would not be surprised to see them out of business within the next 10 years. Costco was just the start. They are losing prestige. Sean S. (July 26, 2017 at 5:02 pm) is spot on with his assessment. If you have the spend throughput, AMEX is pretty amazing. I frankly don’t care about “citing sources”. It just doesn’t matter to me. As brian kusler mentions, my perception is that the news is culled from other places. Gary and Ben contribute enough of their own personal knowledge and experience to their blogs, that stories about fine print changes don’t matter terribly. I’m also pretty sure that Gary has some sort of browser plugins set up so that he is notified when page content changes… particularly loyalty program T&C changes. I’d care more if someone’s true IP is being exploited without their permission, but stories about simple facts don’t raise my ire. Copy and paste someone’s analysis on what various programs’ loyalty points are worth, and don’t credit them? That’s a different story.